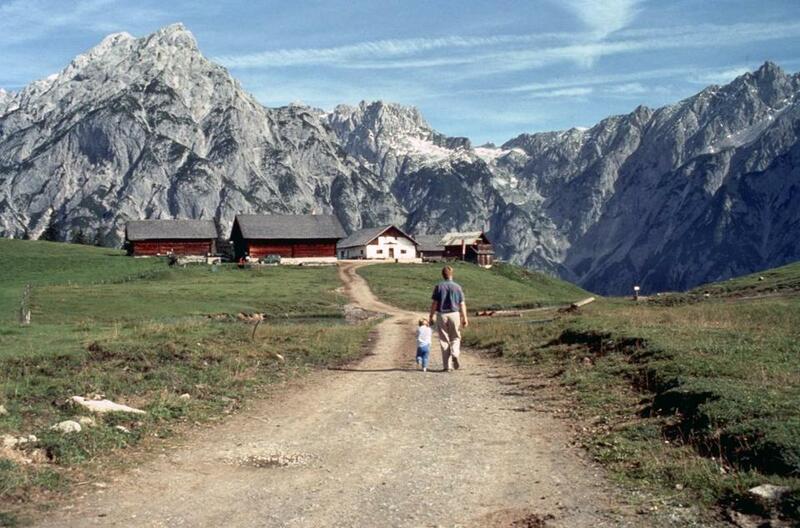 Rick Steves and 2-year-old Andy in the Swiss Alps in 1989. As far back as he can remember, Andy Steves traveled with his family to Europe every summer while his father, Rick Steves, researched his best-selling “Europe Through the Back Door” guidebooks, which started a multimillion-dollar travel-business franchise. The younger Steves, 30, now leads a new generation of European travelers through Andy Steves Travel tours and his own guidebook, “Andy Steves’ Europe: City-Hopping on a Budget.” This year, he’s increasing his tour offerings and is updating a second edition of his guidebook. Below are edited excerpts from an interview with Steves. Q. Did you know from an early age that you wanted to follow your father into the travel business? A. Not at all. I’d planned on doing something completely different. I studied industrial design and Italian at the University of Notre Dame and was planning to go into a master’s program for yacht design. In the spring of 2008, I did a study abroad program in Rome and my friends and I traveled almost every weekend. It fell to me to organize the trips because I’d already worked as a tour guide with Rick Steves’ Europe and knew how to plan a trip. What started as weekends for a few friends ended up being trips for more than 30 people. I realized there was really a need for something like that, so I started Weekend Student Adventures. Q. You’re still running student trips and, in fact, we’re having this conversation a few days before St. Patrick’s Day weekend, when you’ll be leading 120 study-abroad college students around Dublin. How do you deal with young travelers drinking and partying? A. It’s interesting because on these weekend trips, we’re really serving three stakeholders: parents, schools, and students. Students want to have fun and often equate that with going out to party. The minimum age for a trip is 18 and the drinking age where we go is 18. Sometimes it’s the first time they’ve been into a bar, so we try to guide them toward safe behaviors. Also, we try to reflect the local drinking culture, like a glass of wine in Paris, a Guinness in Dublin. Q. You recently expanded your tours to include the post-college market. Does this mean you’ll be competing with your father? A. My dad does excellent tours, but he’s going for the 45-plus market. A 27-year-old doesn’t really identify with Rick’s tours or our students tours. So I feel like there’s an opportunity for budget tours for people in their 20s and 30s. We now have weekend tours and weeklong tours, as well as Detours, which are self-guided packages that we organize. We also do custom trips and consulting, and now of course the guidebook, which was developed from the weekend tours. Q. Your book focuses on budget travel in 13 European cities instead of on a region or country. Why is that? A. These days, with cheap flights within Europe, people are just flying from city to city and not taking rail, whereas my dad would travel on a Eurail pass and hop off at little towns along the way. That’s really affected how people travel. Q. I know all cities have their selling points, but what are your favorites right now in terms of value and points of interest? A. Budapest and Krakow. I’m loving those two cities. They’re both very affordable and developing their own identities unique to other cities. Krakow is a beautiful old town with medieval walls. Budapest is bigger, with trendy food and nightlife. Q. What do you think is the biggest difference between travel in your father’s era and now? A. Technology. You can search for cheap flights, meet locals, keep in touch with other travelers. I find all my lodging at Airbnb and Hostelworld. Q. Is it intimidating to be compared to your father? A. There is no comparison. He’s an internationally known brand and I’m doing my thing on the side. I’m painfully aware of not wanting to reinvent the wheel. We’re talking now about seeing if there’s a chance to collaborate or integrate. Q. You grew up in the Seattle area. Is that still your home base? A. Last year I spent about eight months in Europe, with some time in Seattle, and I had an apartment in Prague, which I also rented out. But I’m now buying a place in Medellin, Colombia, as my base for when I’m not traveling. For the same price for a small place outside of Seattle, I can get a double penthouse with amazing views of the city. Q. Does being based in South America mean you’ll expand your reach outside of Europe? A. I know the interest and intrigue of the country is on the mind of a lot of Americans. I can’t help but look at that as an opportunity, but for now I’m staying focused on Europe.